Home > Work From Home Jobs > Keep Collective Jewelry – A Charm(ing) Business With A Difference? 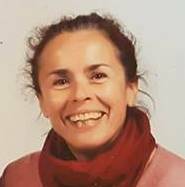 Welcome to my KEEP Collective jewelry review in which I mainly focus on the business opportunity for women who are looking for a home-based business with flexible hours. KEEP Collective is also a direct selling company or social selling company as they call themselves. Even though this jewelry company is fairly young, it has a very reputable, solid company in the background as their mothership so to speak, Stella&Dot Jewelry. Read my detailed Stella and Dot review here. Stella and Dot Jewelry, as well as KEEP Collective, are one of the hundreds of MLM companies that offer the opportunity to get involved in direct selling with the promise to reach the (financial) freedom you deserve and to have the lifestyle you have always dreamed of. They also offer strong support from their team leaders and a sense of belonging through a community of like-minded women who are seeking a new career, a flexible job, or just want to earn some extra income. 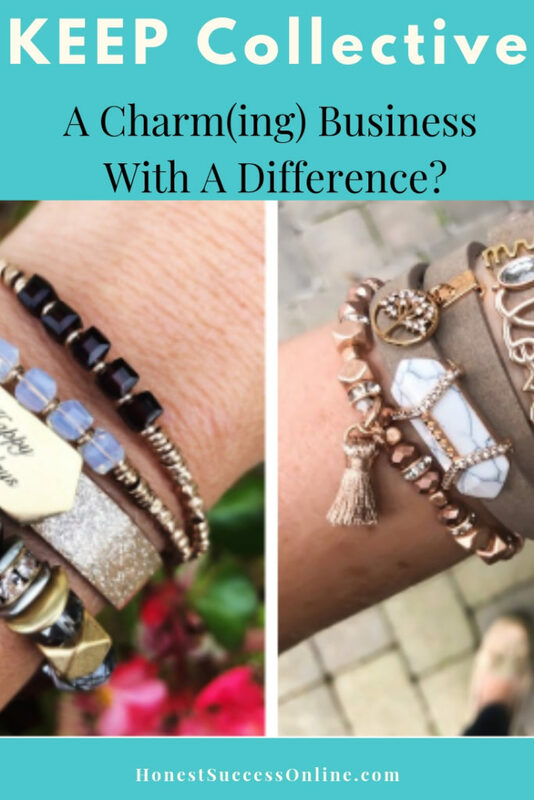 My review will show you how Keep Collective is different from their flagship brand Stella and Dot. It will show in detail what it takes to get involved with this company and if it is the right business opportunity for you. Before I talk about the launch of KEEP Collective I need to go back to Stella&Dot because that is where it all started. In 2003 Jessica Herrin (the now co-founder of KEEP collective jewelry) designed her first jewelry pieces and called her brand ‘Luxe Jewels.’ She was able to grow her business to around $1 Million in sales. In 2007, she teamed up with Blythe Harris and rebranded ‘Luxe Jewels’ to Stella&Dot Jewelry. Stella and Dot’s mission statement is to help women be their own boss at their own terms and has grown exponentially over the past few years with also being available globally in Irland, Canada, Germany, France, and the UK. So far, KEEP collective has expanded to Canada with other countries probably still to come. In the nutshell, it means that Stella and Dot are offering fashionable jewelry and KEEP Collective offers jewelry that has a meaning and can be personalized. The customer can put together their own personalized KEEPsake and tell their own story. Whether it about the family, spirituality, marriage, hopes, and dreams one may have. Which brings me to the products of KEEP collective. When you are very new to KEEP Collective it may take some time to get used to the lingo the company is using. So I do hope I get it right. The bands which come in different materials like leather, silicone, metal, woven bracelets, etc. are called Keepers. The same applies to the necklaces and accessories. They build the base for the charms which also come in different materials, as letters, inspirational phrases, engraved charms, and birthstones (just to name a few). The keepers come in a price range starting at $19 to $59 and charms start at around $7. So you design your own Keepsake jewelry based on what you would like to express. On the website, you can create your design and see straight away what it looks like and how much it cost. Here is the keepsake I created virtually. It would cost me $93 for the look I chose. Doesn’t look too bad, does it? The jewelry is quite versatile once you own a few charms. You are able to change the look at any time. The pieces are designed with a love of detail in Sausalito, CA, under head designer Blythe Harris who is also the co-founder of Stella&Dot. A few words about the customer service which is paramount to KEEP collective as it is to Stella&Dot. It’s basically the same guarantee they offer called the Delight guarantee. If you are not happy with your purchase, you can return the product in the first 30-days and get a cash refund. After 30 days and up to 90 days, you can get a store credit of the retail value. Starting your new direct selling business venture with KEEP collective is fairly easy. To become a KEEP designer, you need to pick a starter kit of your choice which starts at $99 and goes up to the most expensive one which cost $349 (see the attached screenshot). All starter kits include essential sales tools as well as a personalized website for free. For the price of $99 KEEP Collective provide great value for money considering not only the products but also the business supplies are included in each starter kit. You’ll also get access to online training tools, weekly training calls, training videos, one-on-one mentoring, and a design tool that directs customers to your website. Here is a video that shows in detail what you can expect to find in the basic starter kit. The compensation plan is nearly identical with the one Stella and Dot, the sister company offers. See the detailed compensation plan here. KEEP collective put a lot of emphasis on the fact that there is no pressure on the stylist to sell lots of stuff or to recruit lots of new team members. Instead, they want you to decide how busy you want your business to be whether you are looking for a side hustle or a full-time income. Once your QV reaches more than 1500 PQV you’ll get 30%; over 3000 QV 32% and for more than 6000 QV gives you 35%. Depending on your rank, you’ll also get up to 25% commission on your team’s sales down to four levels. 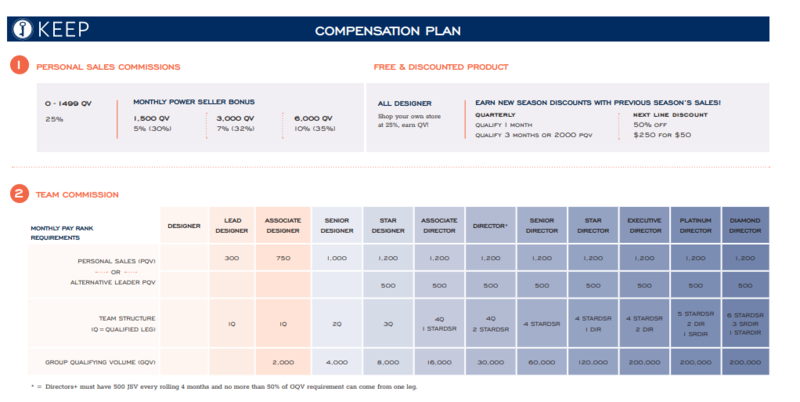 So, let’s have a look at the compensation plan and break it down a little bit. The minimum requirement to get paid team sales commission is 300 QV and increases according to the rank. The highest personal qualifying sales volume is $1200. Yes, there is. It is called the Jump Start program and has been invented to encourage new Designers to sell lots of products and to recruit in their first 60 days of being in business. It makes sense to get off to a good start to gain momentum but also to get your investment for the starter kit back. On top of that, the company bribes Designers with lots of free products they will get as a reward for good sales. I do not like that you only get products for free but no cash as a bonus. Would be nice to see both options. Another perk for newstarts is that you’ll get 50% off all products in your first 30 days, and 25% off after the 30 days are over. There is a lot to like about KEEP Collective Jewelry and their business opportunity but also a few cons. I do like Keep Collective’s attractive looking website that will surely attract new customers with affordable products and personalized items. The website is easy to navigate and to use. Alternatively, you can also do styling sessions via Facebook but it won’t replace the personal touch and service of a design session. In fact, according to the company, 75% of the sales are made through the virtual design studio. Remember my example I designed on the website? The cool thing about jewelry is that you don’t really need to hold a presentation as you do with cosmetic and beauty product brands like Mary Kay or Arbonne. More important is to display the pieces so their look appealing and to explain how they can enhance your guest’s style. But maybe with the new technologies like apps and the likes and the use of social media, it will become easier to sell products. Have you noticed that most MLM and direct selling companies are targeting women as potential recruits? Women join these companies for so many different reasons. If you only want to invest a few hours a week, it looks like you could earn a good side income with KEEP collective Jewelry. Even though KEEP collective make it pretty easy to sell the product, I still think there are better business models out there than selling and recruiting. I have a secret that VERY FEW people know about and I want to let you in on. 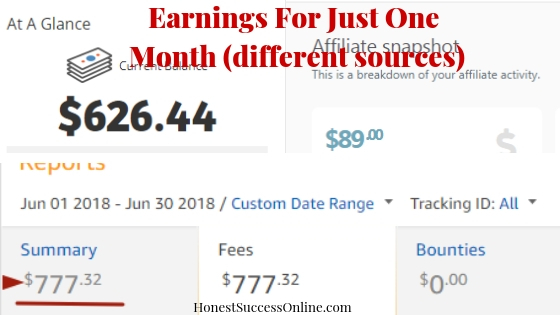 There is a legit business opportunity called affiliate marketing where you basically build a website and promote certain brands and/or products which in return earns you a commission. Did I mention that you don’t sell, recruit, or have to buy inventory. The good news is that there is a program on the market where you learn step-by-step how to earn money online. I invite you to sign up with my recommended training platform Wealthy Affiliate where complete newbies like I used to be learn to become a successful internet marketer. Please note that this post contains affiliate links. Read more about it here.